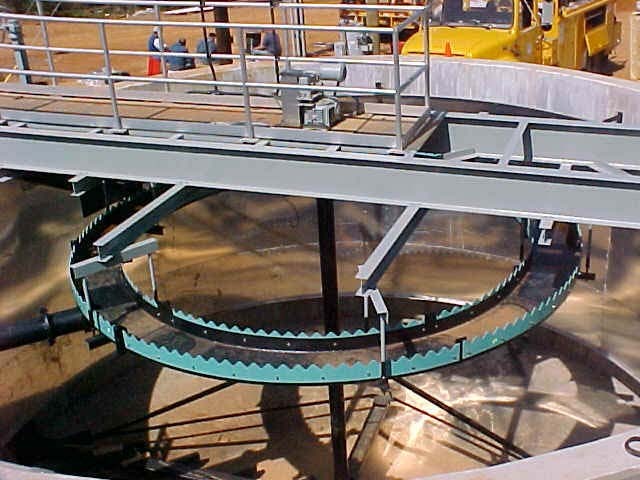 Clarifiers and Thickeners | Hennesy Mechanical Sales L.L.C. 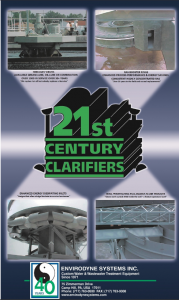 Envirodyne specializes in the design, manufacture, installation and service of water and wastewater equipment for municipalities and industry. 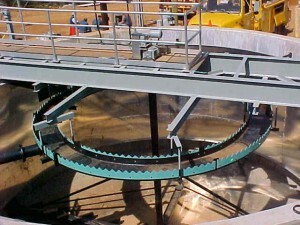 The equipment offered includes circular pier and bridge supported primary clarifiers, pier and bridge supported spiral blade and suction manifold type secondary clarifiers, replacement clarifier drives, circular thickeners, rotary drum thickeners, rectangular collectors, digester covers, oxidation ditch system, rotary distributors, sludge bagger systems, grease and grit removal systems and screening equipment.